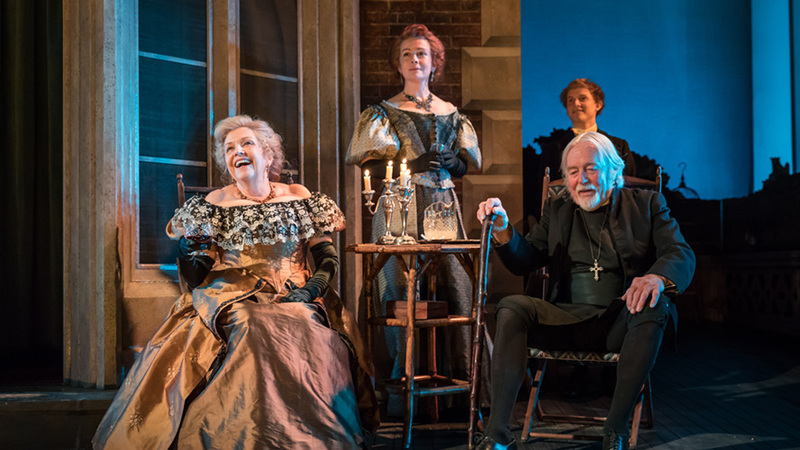 Last night Stuart and I went to see Oscar Wilde's A Woman of No Importance at the Vaudeville Theatre in London's glitzy West End. And for a 125 year-old play, it was pretty damned funny. Admittedly, the plot is perhaps fairly thin but the plot is not really the point of this particular play. 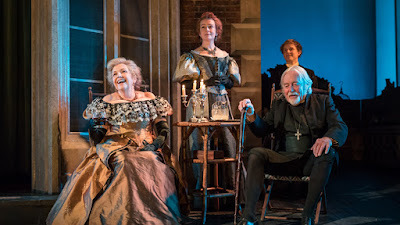 Ostensibly, about marriage, the battle of the sexes, and the upper classes Wilde simply uses the play as a vehicle to place an avalanche of witty and urbane words and phrases in the mouths of his badly behaved English toffs at a country retreat. His characters talk down to those less experienced than themselves and it is very funny. Self-aware daft snobbery can be hilarious and even more so when spoken by such a high calibre cast as performed it last night. Anne Reid, Eve Best & Eleanor Bron were on top form. Puncturing all the English pomposity was the young American puritan woman though whose heartfelt speech on the inequality of class grounded the evening for us all.